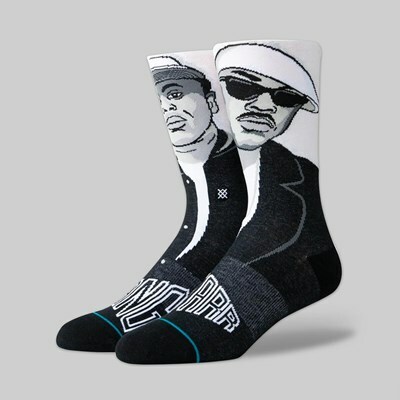 STANCE frequently pays homage to leading figures in the entertainment and sports industries on its classic socks, and this time the music industry is of particular focus. 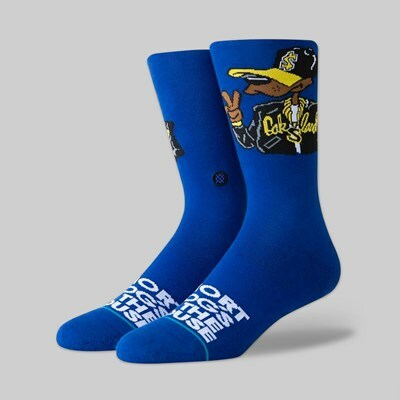 The Anthem Collection has arrived, and just like no rap-focused sock collection would be complete without the legend that is 2Pac, you need Biggie Smalls too. 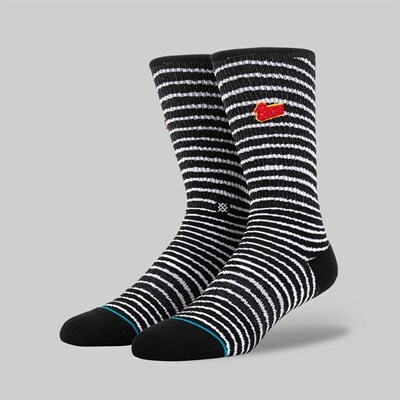 The "Ready To Die" Socks arrive in a Black/White colourway. 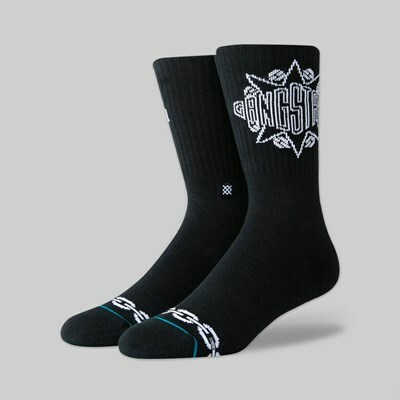 The socks bear STANCE's usual high level of quality, offering a non-slip fit that makes them perfect for skating and any action sport for that matter. 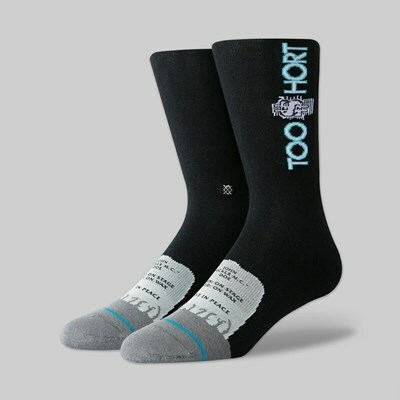 Terry loop has been added to reinforce the heel, forefoot and toe areas, and the toe is seamless to reduce the chances of holes appearing quickly. The final performance addition is arch support, which maximises comfort and lets you skate in cushioned bliss for long periods of time. 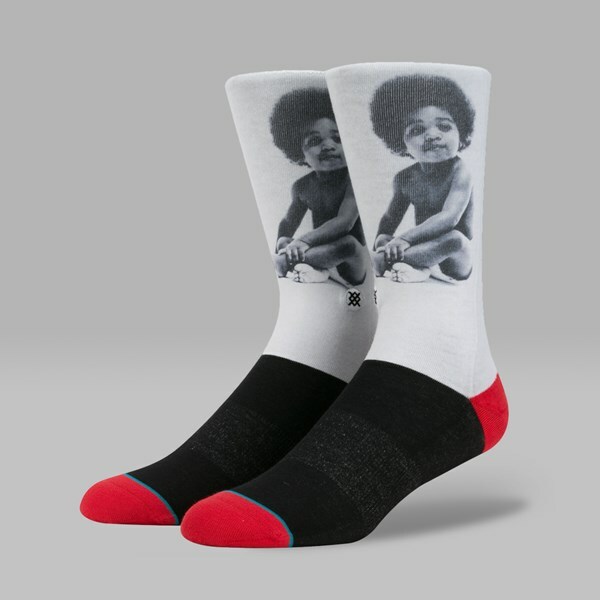 Around the calf and ankle we see a graphic of a baby with a huge afro, the same picture that was used for the cover of Biggie's world-famous debut album Ready To Die. 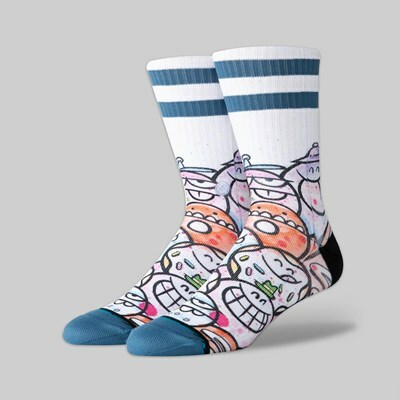 You can find the rest of the STANCE Anthem Collection, and the mainline offerings from the sock supremo, both online here at Attitude and in our Colchester store.